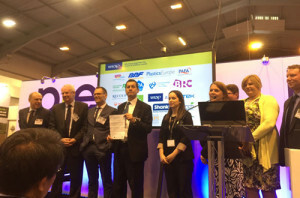 The Plastics Industry Recycling Action Plan (PIRAP) was launched on June 16 by UK charity WRAP and Plastics 2020, an initiative led by the British Plastics Federation (BPF), the Packaging and Films Association (PAFA) in the UK and Plastics Europe. The plan provides a co-operative strategy for the plastic packaging supply chain to take action and contribute towards achieving the UK government’s target for obligated users – of 57% plastic packaging recycling by 2017. PIRAP highlights a number of areas where improvements could be made to develop end markets for plastics recyclate, enhance collection rates, adopt best-in-class collection methods, optimize sorting infrastructure and design. “Despite the ink on the final document being barely dry I am pleased to see that so many stakeholders have come forward this looks promising for the next steps which need to focus on actions to support the achievement of these challenging targets,” noted Barry Turner, PAFA’s Chief Executive. PIRAP was initiated by WRAP through consultation with different stakeholders, including national and local government, the waste management industry, obligated users, producers, converters and recyclers. Plastics 2020 then adopted the task of engaging with the different stakeholders to agree on different actions for commitment.